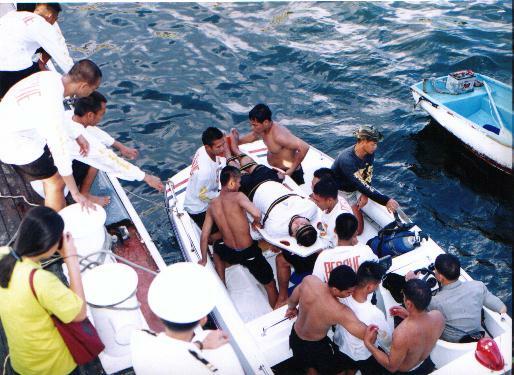 SARTAG members transfer the victims from the speedboat to the BRP Corregidor. 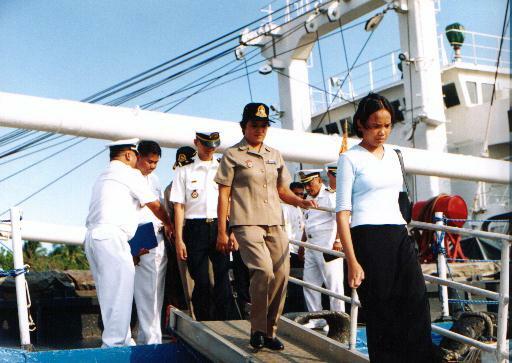 SARTAG members carry the victims on the deck of the BRP Corregidor. 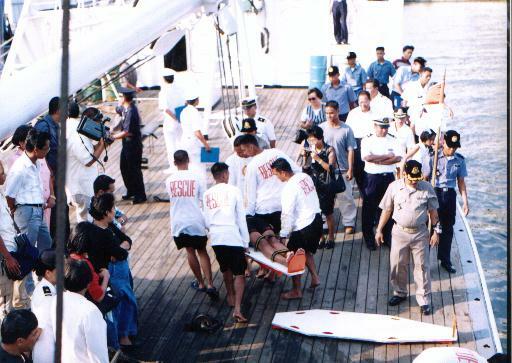 The victims are lined up on the deck of the BRP Corregidor as CDR Chrisler Cabarrubias PCGA checks on them. 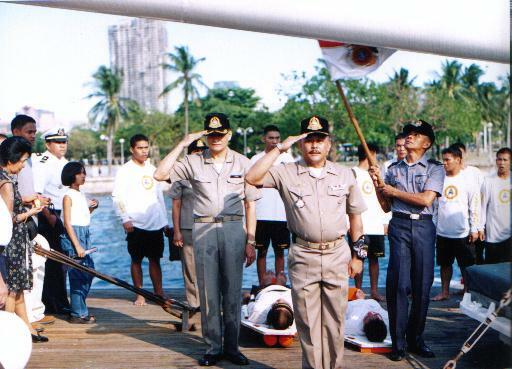 CDR Chrisler Cabarrubias PCGA talks to CDR Ricardo Chan PCGA. 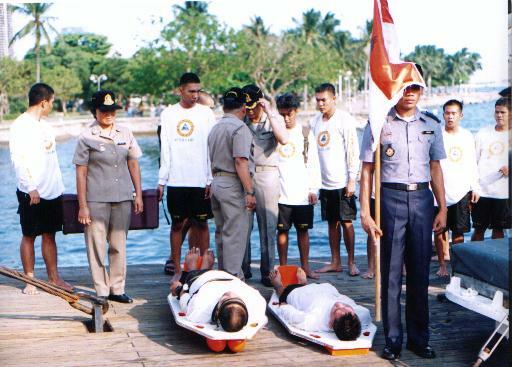 The SARTAG reports to Commodore Reuben Lista PCG after the Search and Rescue Demo. Spectators leave the BRP Corregidor after the SAR Demo.